App Builder Appy Pie: Let’s face it, we are all slaves of our instant messaging apps and every time our smartphone goes ‘ding!’ there’s nothing we can do to resist taking a quick look at it, even if we are at office, in a movie theatre (yes, we all do it! ), in a meeting, at home, or even when we are at a formal dinner with the Queen of England! The Top Apps in the World! WhatsApp Messenger is the #1 messaging app that takes the top spot in 104 countries (the maximum for any instant messaging app). Though this number has come down since December 2016 when it was 107 and, in the process, has lost some of the lead it had over Facebook Messenger. Facebook Messenger was the top messaging app in 58 countries in December 2016 but this year it has gained a significant number of users and has topped a total of 64 countries! This is quite a massive leap in quite a short while. Apart from these chart toppers some other names worth mentioning include Viber Messenger which was the top messaging app in 10 countries, and Line which topped the charts in 3 countries. There is a new entrant to the list this year – imo free video calls and chat which is the #1 messaging app in 2 Balkan countries – Turkmenistan & Uzbekistan. The apps to drop out of the last year’s list from SimilarWeb include Skype, Zalo, & BBM. When it comes to measuring the performance of any messaging app, engagement emerges as one of the key indicators. Talking about WhatsApp Messenger, the messaging app does not just lead in the countries where it is at the top, it virtually dominates the market in all those countries. In 45 of the countries where it is at the top of the list, the app has been downloaded in more than 90% of the devices. 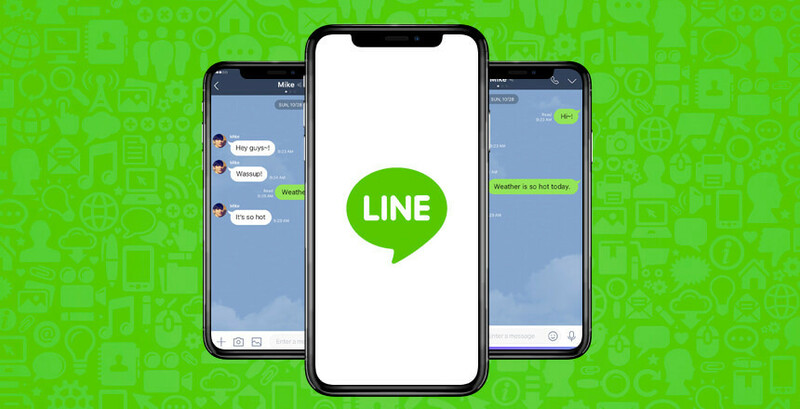 In India, this messaging app is wildly popular and is installed in about 95% of the Android apps and 75% of the uses of this messaging app use it on a daily basis. The South African users are comparable to the Indians in their enthusiasm for the app though the install rate there is a little lower at 92%. In the United Kingdom, however, WhatsApp Messenger is installed in 84% of the Android devices and 56% of the users use it daily! 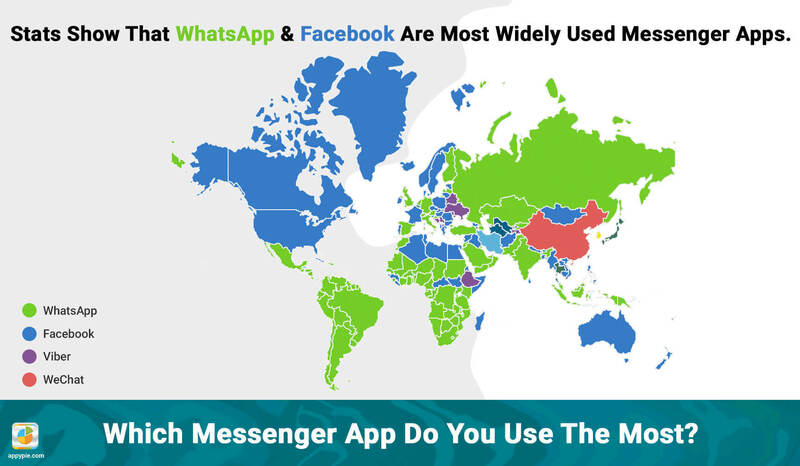 Facebook Messenger, on the other hand enjoys a comparable penetration only in 8 countries and Philippines is at the top with 91% installation rate. In the United States and France, however, the figure is somewhere around 60% and 41% of their users use the app on a daily basis. To get a holistic picture of the performance or success of a mobile messaging app, penetration can be considered one of the most useful indicators. The app at the top of the list was installed on more than 80% of the devices in 140 countries that were measured. It was only in 4 countries that the messaging apps at the top of the charts which had less than 50% install rates. Facebook Messenger is among the top two in 92% of the countries when it comes to App Install Rates, and WhatsApp Messenger in 76% of the countries. A total of 131 countries (70% of the world’s countries analyzed) both have WhatsApp Messenger and Facebook Messenger at #1 & #2 spots. The instant messaging apps have taken over emails in professional as well as the personal realm. One of the reasons why the mobile messaging apps have gained this measure of popularity because of their social networking attributes, enhanced security, and are in a constant competition with the free mobile calling and texting services. This has not only enhanced the instant messaging apps but have led to people taking them up as a preferred medium of communication. 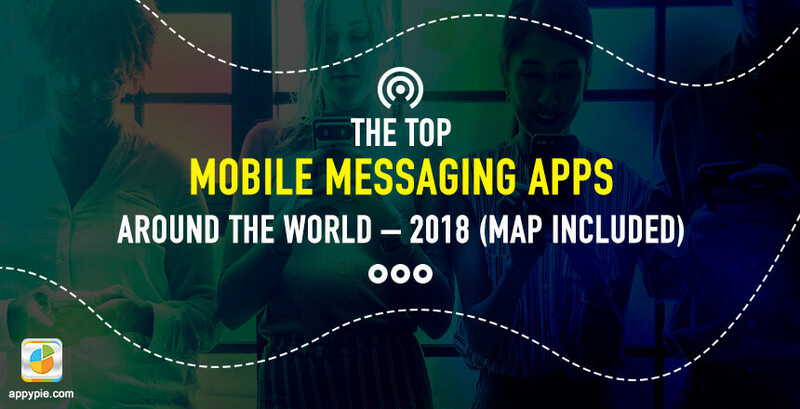 We have talked earlier about the global leaders in the field of mobile messaging apps, here we are going to give you a comprehensive list of the top 9 mobile messaging apps that we have used and enjoyed (or not). 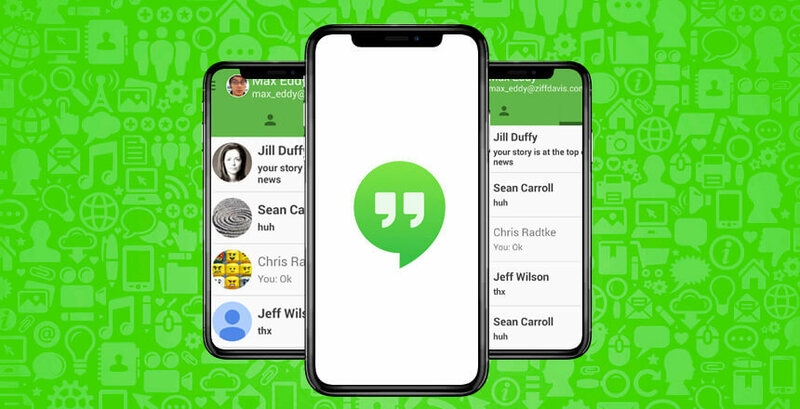 The fun thing about these mobile messaging apps is that almost all of them offer to their users, free voice or video calling and even free mobile texting in some cases whether the user is connected to the Wi-Fi or a data plan from their service provider. The leader in their arena, WhatsApp is the global leader whether it is about market penetration or about user engagement. This has been established by the information we shared with you earlier on in this post. 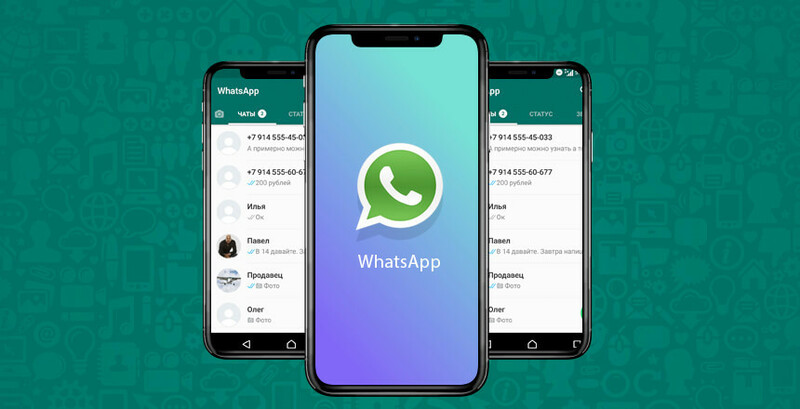 WhatsApp is a wildly popular mobile text messaging app that is designed for smartphone and tablet users enabling them to send text messages and make voice or video calls using internet (Wi-Fi or cellular data networks). Part of its charm is that the messaging app is really easy to understand and has a ‘no frills’ design in contrast to some of the other messaging apps that can overwhelm the users. 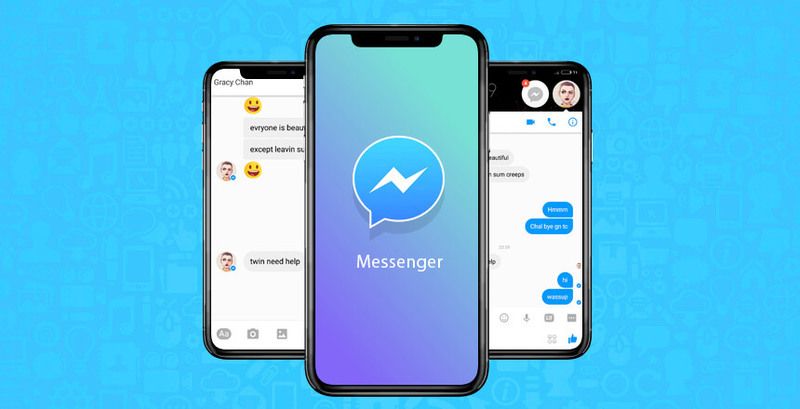 The instant messaging app that is at the spot #2, Facebook Messenger app which was separated from the social networking app Facebook in 2014. Integrates with a bunch of third-party apps letting you share your travel plans with Kayak, or recipes from the Food Network, and more! 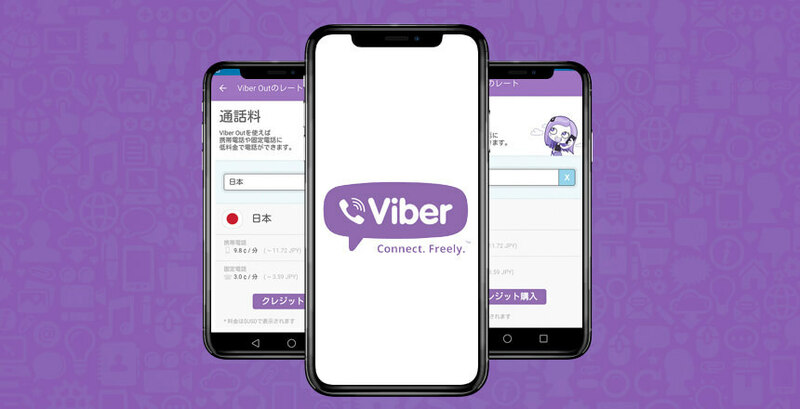 One of the top 3 instant messaging apps Viber, is popular for its ability to work between smartphones, tablets, and computers. A unique text messaging and voice calling app that has an element of social entertainment attached to it, thanks to the networking and gaming features in it. 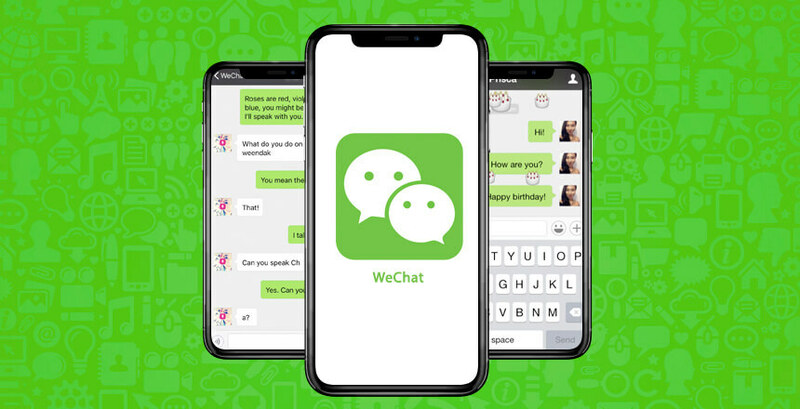 WeChat is more than just a messaging app, in fact a great blend of messaging, social gaming, and even social media. A cloud-based messaging service, Telegram is great for speedy and secure messaging. The app is accessible from all the devices simultaneously and has some truly unique features. 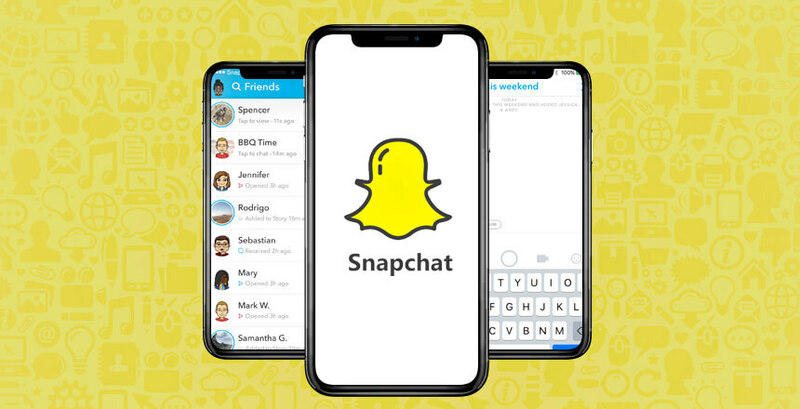 The original proponents of the disappearing posts, Snapchat is known for letting you send multimedia messages that self-destruct after the time you set it up for. It is the ephemeral nature of the posts on this platform that not just made the app popular, but also wildly popular (especially among the millennials). Coming from Google, Google Hangouts is one of the most underrated messaging apps. Lets you organize the conversations by allowing you to favorite a conversation for easy access and archive messages to declutter the conversation view. 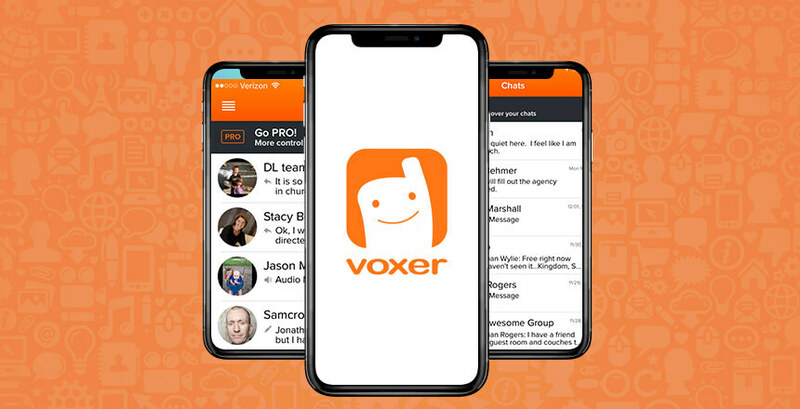 Voxer is known by more than one name like walkie talkie or push to talk app as it delivers voice messages live! The recipient, whether it is an individual or a group can listen to the message immediately or later at a convenient time. The message would be instantly played in the recipient’s phone speakers (provided the phone is on and the app is running) or would be stored as a recorded message like voicemail. 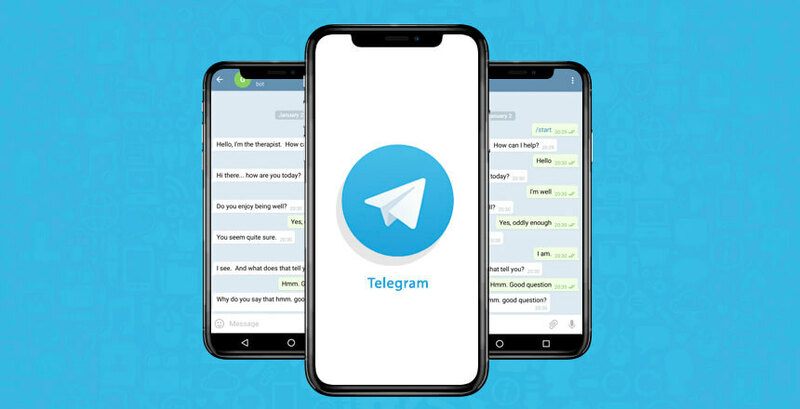 There is a premium version available that offers features like unlimited message storage, admin-controlled chats, message recall, Extreme Notifications, Chat Broadcasting, hands-free walkie talkie mode, and many others. How To Make Money From Your Free App?